I've been writing my little fingers off. The first draft of my NaNoWriMo murder mystery novel was finished in November, but as pleased as I was with it overall, I knew it still needed some serious work. But December was crazy with sales and holidays, and then it was local tax season, and then federal, and somehow months slipped by, and I didn't have a second draft. Sam got it in his head that I'd promised to have it done by a certain date, and he started reminding me that I needed to finish. He started taking Mikko on longer and longer walks, and finally just shoved me out the door to a coffeeshop down the street every so often. Sometimes I'd cheat and just sit on the back porch swing so I could be close if mothering duty called. But I still didn't feel particularly pressured to get the second draft done by a certain time until Sam told me that if I finished by the deadline, I'd win a super-special certificate. And if I didn't — I would never see the certificate. Ever. I copied and pasted huge chunks. I wrote new scenes. I made trouble for myself by having characters pop into scenes I had no intention of them visiting, but I went with it and wrote it all out, nervously eyeing the live page count at the bottom of the Word screen. As I added scenes, the finish line seemed to get farther away instead of closer, and it was all I could do at the last moments to sprint to "The End." 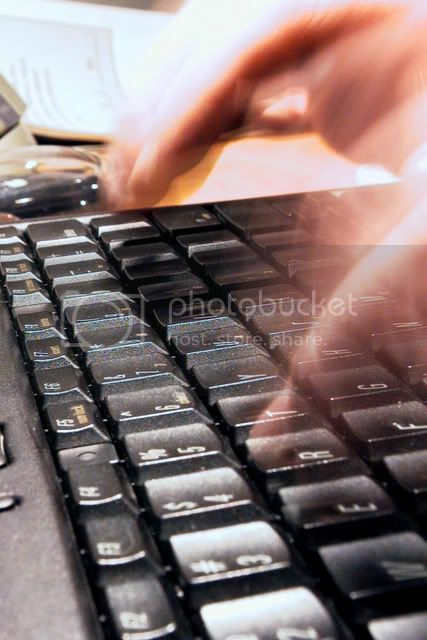 Finally, one minute over my deadline, I finished my second draft. Sam gave me the certificate anyway. Signed by Agatha Christie. Sam has since read the novel for the first time, and he read it with enthusiasm and excitement, which made me feel proud all over, as a mama does. We all want our babies to be exclaimed over and recognized for being the greatest things ever. He also had lots of improvements to suggest, mostly concerning character development, and unlike with a real baby, I appreciated his input. And, so, it's back to work. I'm not to the terrible twos yet as commonly referenced, but Mikko is 22 months old. That's a lot of twos, right? We've noticed lately an increase in his frustration levels and a corresponding increase in his dramatic responses to those frustrations. Are they tantrums? Maybe sorta. I don't feel like labeling them, particularly since I haven't yet seen the stereotypical movie kind where the kid flings himself on his stomach and kicks his legs about. Mikko flings himself on his back. Much different. I was praying last night, which is something I haven't done directly in awhile, and with thoughts of Easter, I thanked God the Father for letting go of Jesus the Son for death. And it's so commonplace in our religion that I often gloss over the meaning there or think of it only in spiritual terms. But last night I had a visceral kick to the stomach at the thought of letting my baby die. There are too many deaths of children around me, and each one is too, too much. Too much pain, unbearable, there-are-no-words suffering. It's not right. Children shouldn't have to die before their parents, and parents shouldn't have to endure that. Today is Easter, and it's the day of hope, of rebirth, of life returning. 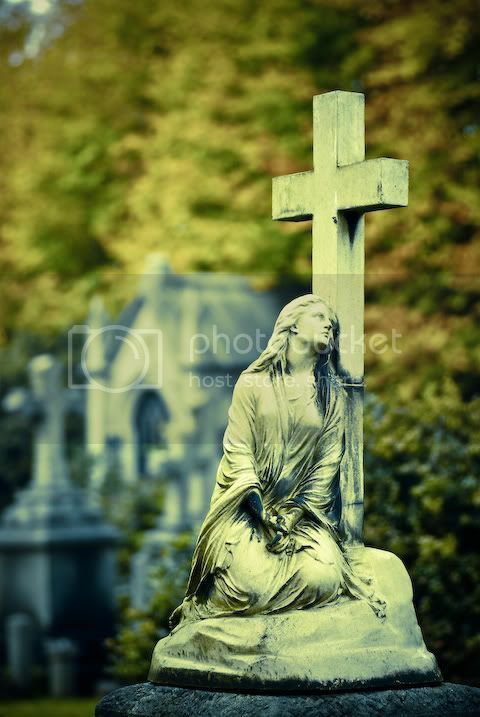 I grieve with those who are grieving today, and I wish us all hope and new life. 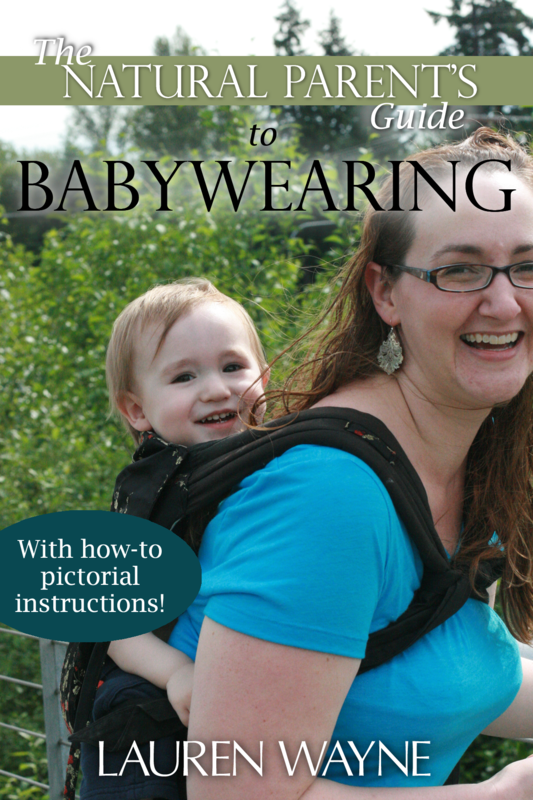 Stephanie at Adventures In Babywearing has put up a babywearing clearinghouse post: "How You Wear". Add your own favorite babywearing posts, tips, or tricks, and check out all the wonderful links to other babywearers while you're at it. I read a cool post at RookieMoms.com (you can click on the preview image at right to go to their site) that reminded me of an important truth about baby signing: "It's not too late." "Rookie Moms Unpopular Opinion #49: You don’t have to start signing months in advance to get your baby to catch on. "If you show her the sign, right when she needs it, a few times over a couple of days, she may try it out herself. I have heard so many parents say that they 'messed up' in someway and didn’t teach their baby the signs, and I don’t mean to sound like a crazy hippie/signing evangelist, BUT, if your baby is still not using a lot of words, why not try signing for a few days starting now? I’m guessing most one-year olds will catch on to the 'more' pretty quick if you do a little Pavlov’s dog-style experiment with them." I also will try not to sound like a crazy hippie/signing evangelist (though I might be both of those things) by saying that you might actually get more satisfaction out of teaching a toddler to sign rather than a baby. By that I mean — you're more likely to get pretty instant gratification. While we started signing with Mikko round about four months old (though not super consistently), it wasn't until around 11 months old that he first signed back to us. That's a long spell of signing into a vacuum. But just recently, his sign vocabulary has exploded. I know that we have been signing with him consistently since 11 months old now, and that's 11 months of signing under his belt, but I've noticed a big difference in his acquisition of signs in just the past few days, and I attribute a lot of that to his simply being older. Now we can show him a sign once, and he'll start signing it back. He gets it — signs label something that he wants to have a word for. So he learns them more quickly. I think that's the big bridge to cross — and if your child has already crossed that linguistic bridge (understanding that objects and verbs and so forth have names), then signing will probably be an easy-peasy addition. I just want to point something out as I preach at you about signing. I was reading The Bilingual Edge: Why, When, and How to Teach Your Child a Second Language , which in general I think is a really helpful and positive book for raising your child to speak a second language. However, I was a little offended by the authors' dismissiveness toward baby sign language as, I don't know, a sort of bastardization of bilingual learning. They make the point, and I fully understand and agree with this, that baby sign does not fluent American Sign Language make. No toddler learning a handful of discrete signs is going to be able to converse easily with someone from the Deaf community. There's no grammar, no cultural backing — yes, I get it. But the book went further and pointed out that the studies about signing making babies smarter were perhaps bogus, since (maybe) smarter parents tend to do baby sign in the first place. "ASL is a cherished and rich linguistic and cultural resource for the Deaf community (and ironically, one that has long been discriminated against and treated as less than a full language by the same hearing majority who now embrace sign language for use with their babies)." Is it just me, or does this imply that we're mocking the Deaf community by using baby sign? I would never presume to understand what it means to be Deaf, and I have personally done what I can to study Deaf culture and history and learn some true ASL, besides adopting legitimate ASL signs for my baby signing. "[Johnston et al.] noted that 'parents can be stressed by the challenges of meeting demands of work, caring for a young child, and other family and personal obligations, and experience guilt if they feel they are not doing everything recommended by infancy specialists and the infancy industry.' The researchers recommended that parents consider their own situations before deciding whether to use baby signs and perhaps consider skipping it altogether. As they note, there are important developments that are taking place before infants begin to speak... Adding an additional task at this important time—especially one with no proven benefits—is not essential..."
Overall, I just got the impression that any parent reading that section would think — well, that's that then, baby signing is stupid and pointless. • First of all, I didn't start it because I wanted Mikko's IQ to rise a few points. Who cares! I did it because I want to communicate with my baby, and I really appreciate knowing what he's thinking and feeling (he's just learned the signs for "sad" and "cry," for instance) since he has so few verbal skills right now. 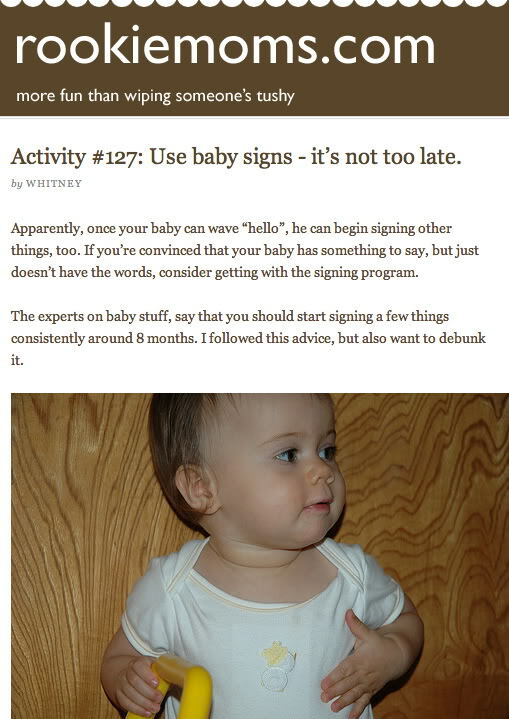 • Secondly, I don't at all think baby signing is necessary. Don't feel guilty or regretful if you didn't get around to signing with your baby. Yes, it's a fad. No, you shouldn't feel bad about not jumping on the bandwagon. It's fine. If your baby is an early talker, you really don't need it anyway. Frankly, I think it's fun. But if you don't, don't torture yourself. So, now that I've gotten those caveats out of the way, I just want to encourage anyone who thinks it might be fun to give it a try, even if your baby's 2 years old, or 3, or 13. Just because learning some sign vocabulary doesn't make your baby bilingual doesn't mean that it might not be a springboard to future interest in learning ASL. And, in the meantime, you'll have another (fun!) language you can use to communicate. So get signing! It's never too late to start! This post I'll dedicate to the ERGO Baby Carrier. 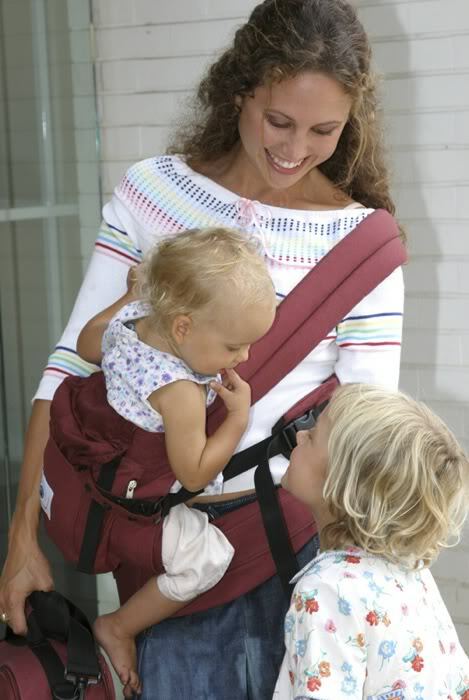 An ERGO is a structured but soft carrier with padded straps and waist and upper belts that buckle. You can wear your baby on your front and back easily, and on your hip with a little finagling. An ERGO is designed like a mei tai but with a little more structure and padding to it. The best part of an ERGO is the support it offers for heavy babies and toddlers, particularly on your back. You can choose to take the weight spread out across your hips instead of pulling on your shoulders. It's like wearing a heavy but well-distributed backpack (but cuter!). Like the mei tai, it's sooo easy to put one on once you follow the directions. It's just a matter of figuring out the buckles and adjusting them to be comfortable for you. If you buy your ERGO new, it will include pictorial and DVD instructions. If you buy it used, it's easy to find help online, such as at ERGOBaby's own site! They've posted all the videos themselves. There, that was convenient. Here's a basic tutorial with some tips for putting on your ERGO comfortably. When you're starting out, you'll want someone to help you position the baby and fasten the straps. If you advance, you might be able to handle it all yourself. Personally, I still prefer some help! 1. First, fasten the waist strap around your waist. Feed the buckle through the safety elastic first, so that if it comes undone, your baby will still be safe. Then buckle it and cinch the strap tight. I like to imagine myself Victorian and think of it as a corset. Seriously, don't hurt yourself, but don't be afraid to make it snug. This is what's going to support most of the baby's weight. Experiment to see if you like the waist belt buckled higher up on your torso or down lower on your hips. It can make a big difference in how comfortable you are, but everyone's individual in this preference, so you'll have to try out a range if you're not satisfied at first. I find that it's most comfortable with a heavy baby if the straps are down fairly low on my hips. If you wanted the baby on your front, you'd have buckled the waist strap in back. If you want your baby on the back, it should buckle in front. Duh. At this point, the bulk of the fabric should be hanging like an apron. Let it. 2. Take your baby from your helper, and snuggle him against your front, or have the helper arrange her on your back. If you have an older child who likes piggyback rides, this step will be even easier! 3. Bring the fabric up over the baby's back and thread your arms through the shoulder straps. 4. At this point, your baby's well supported, so you can get your baby comfortable. I like to pull up the legs and bounce my baby a bit to sort of shake his booty down into the pouch. Ask your helper to make sure the back of the fabric is up as high as possible on your baby's back. 5. Now buckle the upper belt, either across your chest if your baby's on your back, or have your helper buckle it across your upper back if you're carrying your baby in front. 6. Now tighten the shoulder straps and upper belt if they're looser than you'd prefer. Like the waist belt, I find that making the upper belt very tight makes things more comfortable rather than less. How tight the shoulder straps are depends on your personal preferences. I like them tight enough that everything feels snug, but not so that any of the buckles or edges are cutting into my skin. You might want help tightening the shoulder straps, because they're at sort of an awkward angle under your armpits and your baby's weight will be pulling on them. Push your baby up a bit to release the pressure before trying to tighten by yourself. 7. Just a note: When removing your baby, undo the upper belt first, then take the baby out, and only then undo the waist strap. The waist strap is what's keeping your baby up. That video is from The Ergo Lady, which is a wonderful go-to site for all your questions about using an ERGO. She has tips and tricks, FAQs, and videos. She'll show you how to get your baby onto your back using a couch or, a little more adventurously, swinging her into place. She'll show you how to handle wearing a newborn without buying an insert, or how to wear two babies at once. You can learn to nurse hands-free in a front carry (I've done this hiking through the woods!). She'll even show you non-ERGO-endorsed tricks, like wearing your baby facing out in front (for short periods only) or carrying your cats! 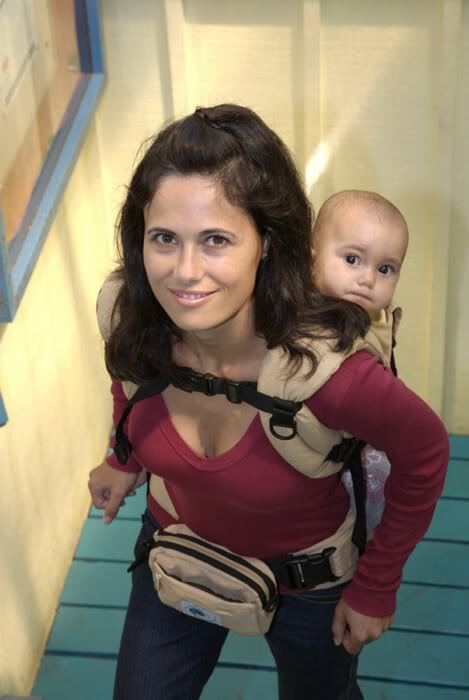 Now, the ERGO is not as compact as a fabric-only wrap or sling, because it does have padded straps and buckles. That said, it doesn't have a hard structure to it, so it's easily squishable into a bag or into the backseat of your car. It's not as versatile as a simple piece of fabric, but I think it does its job as a baby carrier very well. I will venture to say that, if you're going to buy only one baby carrier, you might as well make it an ERGO, because you can use it throughout your entire babywearing time. I realize that the price of an ERGO is a little steep for some, but it's a worthy investment if you can afford it. I was fortunate in that I was able to sweet talk my mother into forgoing buying us a crib or expensive stroller and spend the money on an ERGO instead. Maybe you'll be as blessed! I know there are some ERGO-like soft structured carriers out there that might be just as good and perhaps cheaper, and it is possible to pick up gently used ERGO carriers at quality consignment shops and on eBay. The prices are not as reduced as you might expect, because of the lasting quality and high demand. That does mean, however, that any ERGO you buy has good resale value, or you can pass it on to a friend as a much appreciated baby gift. The ERGO name comes from the word ergonomic, and it really is, both for you and your baby. Your baby's tush sits down low in a nice, wide pocket of fabric, and the knees are angled higher than the hips and spread comfortably around your waist, which would be the normal position if you were carrying your baby sans carrier. Compare this to the popular BabyBjörn Baby Carrier — that one is better than not carrying your baby at all and is popular, cheaper, and available everywhere, but the baby is sitting on a narrow band of fabric at the crotch, with the legs dangling down. There's some debate on whether this is bad for babies or simply not optimal, but commonsense tells me the ERGO design must be more comfortable for the little one. It's better for you, too, which is why the ERGO carrier can be used so much longer than the BabyBjörn without discomfort for your back or shoulders. The weight of your heavy little one is spread out over your back, shoulders, and hips, particularly in a back carry, which is where ERGO carriers shine. Unless Mikko is dying to nurse out and about, I only do back carries now, because front carries hurt my hips at his weight (36 pounds!). Having the baby on your back means you can do chores (hooray!) with both hands, or go on long hikes in comfort. If your baby falls asleep, there is an attached sleeping hood that helps support the head. Now, I was never able to get the hood on Mikko without waking him up, but The Ergo Lady does have some tips that might help you use the sleeping hood. When the baby's on the front, you can just kind of tip his head forward into you and that works well enough in that case. Each ERGO carrier has a zippered pocket in front for stashing an extra diaper or a wallet. There are also accessories you can buy to be even more hands-free, like an attachable backpack or a waist pack, or my favorite hilarious extra: terry cloth sucking pads . It's true that Mikko loved him some strap chewing! One huge plus for the ERGO baby carrier is that men don't feel stupid wearing it. It's not feminine-looking (not that that's a bad thing) like some of the other wraps out there, and most of the colors and patterns available are on the plain side. I think the canvas fabric and backpack-like buckles also help make it seem more gender-neutral, not unlike a hiking backpack. I've successfully convinced even my dad to wear Mikko in the ERGO several times! One more tip: Because your baby's legs stick out the sides and the pant legs usually get rucked up, I suggest using BabyLegs or similar if it's cold out. Just joking! I just think with something this structured and buckled, it's probably best to buy it. If you're super crafty and figure out how to make one yourself, post the pattern so I can link to it! You can find gently used ERGO carriers on eBay, or through the site called My Favorite Baby Carrier. Or you can buy new direct through Amazon for not much more than the used carriers available. That way, you get the latest version and get to choose your favorite color and pattern. They do improve aspects of the carrier with each generation, but don't be afraid to buy a used older generation if that's your best choice. They're fundamentally the same, and any version will work well. I've posted an eBay widget below to show current listings. The argument for reproducing: Is it different when it's your own kids? I found an article on Babble by Lauren Hoffman titled: "A Preschool Teacher's Confession: I love kids, but I'd hate being a parent." That makes the third teacher of young children I've encountered who's sworn off children. 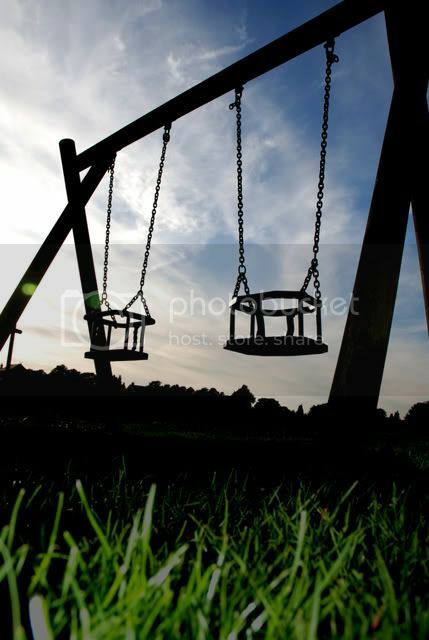 "A harried parent once said to me at drop-off, apropos of nothing, 'So. You signed on to hang out with a bunch of two-year-olds. Voluntarily.' 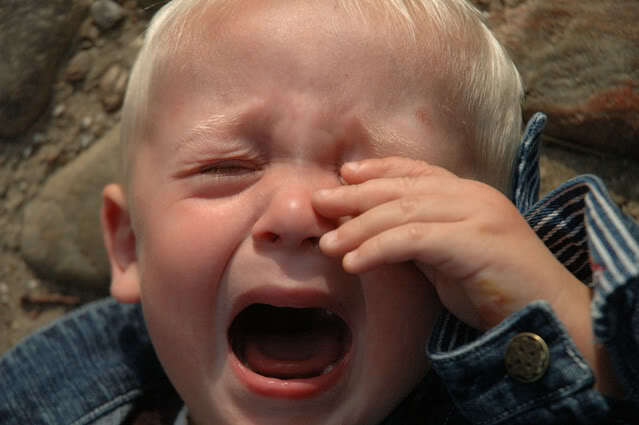 To raise a child is to be exhausted and, frequently, to look it. The parents I know all say it's worth it, and that it's just different with your own kids. I know that of course it would be different. I just don't think it would be different enough." My mother frequently spouted that line to me when I wondered aloud whether I could handle the strain and tedium of being in charge of a kid All Day Long, usually after a bout of babysitting or hanging around cousins. "It will be different when it's your own." Sam and I nannied a friend's baby for several months, and we kept hoping that that saying meant we could benignly neglect our own kid more than our babysitting charge, whom we felt compelled to entertain the whole time since we were being paid for it. Even our four-hour shifts exhausted us. So, I can take stock now. Is it different with your own kids? Yes. Is it different enough? I don't know. And I can't really answer that for Ms. Hoffman. I do think, however, that if her gut tells her no, her gut's probably right. "What changed my mind for good against procreating is the need that assails me all day long. My children have an absolute right to their legion, constant needs; what makes a child a child is their dependence on the adults around them. But at five o'clock each day, I'm able to walk away from the onslaught, and I'm relieved. I can't imagine not getting to go home from children." She recounts the way children take away your personal space, your right to your body, and your dignity. I was peed on four times yesterday. That's the unsung beauty of not having or being around kids: not having to change your clothes multiple times a day due to bodily fluids not your own. I had to send Mikko out with Sam so I could write this, because today Mikko is whiny and exhausted and clingy but won't take a nap. There comes a point where I wish I could "go home from children." I do wonder why I had kids, why anyone does. The world has enough people. We're not in danger of running out anytime soon. As I've said, I'm not overly fond of kids. I don't dislike them, but I was never the person who rushed to fill every hour with babysitting jobs, or the person angling to have new babies handed off to her for a cuddle. I guess I'm not a very good allomother, am I? I don't want to overemphasize this, as if I'm some sort of baby hater. I just mean that (perhaps as is expected from most males? ), children have never been an obsession for me. I really liked the idea and the experience of being pregnant. That seems like a stupid reason, though. I've even considered surrogacy, for the joy of pregnancy without the horrors of caring for a newborn afterward! I don't subscribe to any particular theological dictate to multiply. I don't have any expectation of being cared for in my old age by my offspring, which Hoffman cites as a stupid reason (I agree). I look at my own parents and see that here I am, living across the country from them, keeping in touch sporadically. Is that the wished for end result of procreation? We're on good terms, at least. Are my parents satisfied with how all their work in raising me turned out? In the end, I had some sort of drive to have children. Maybe it was biological. Maybe it was curiosity. Maybe it was my interest in parenting as a subject and a wish to experiment on my own little guinea pigs. I know Sam has some sort of desires along similar lines in terms of raising children to be spiritually mature. I don't know if any of those are good reasons, or if anyone needs good reasons. All I know is I determined that, if I looked back at my life as an old woman, I would regret not ever having had kids. Which meant accepting the risk of having them. "And while my kids reflect the love and care they're given in simple ways, a relationship with a child is not fully reciprocal. To give to kids all day long is often to throw love into a vacuum. As much as I believe in the importance of the work that I do, it often depletes me. I wince at the edge in my voice at the end of a particularly challenging day. How much sharper would it get if a child's needs came at me twenty-four hours a day instead of thirty-odd hours a week? I don't care to find out." I am finding out. Apparently, it means I have to send him off once in awhile for a nice long walk with his father. The problem with being a mother, in particular, is necessarily having to be, as Hoffman puts it, "The One, the axis on which a child's world orbits." That is, to her as to me, terrifying. I don't deserve to have anyone need me that much, and I'm not sure on a daily basis whether I can pull it off. It's interesting that adults who choose not to have children are often considered selfish, but that most reasons for having children are selfish as well: wanting to put something forth into the world that carries on your genes, your nature, your name, your calling, your viewpoint. Certainly, raising children demands a certain amount of selflessness, but the choice to reproduce starts beforehand. Very few people see clearly how difficult raising children will be, wish they could be spared, and then have them anyway, just to build their own character. I once went looking online to see how many parents out there regret having had kids. It was hard to find, which I guess is good. There were a few, though, who said that if they had to do it over, they'd remain childless. I don't think it was a hatred of their kids, a wish that they specifically had never been born, but just a general exhaustion and an acknowledgment of paths not taken and dreams deferred. I realize there are parents out there who have no idea what I'm talking about, who bear and raise their children with uncomplicated joy and can't imagine any other way. And that's fine. It's just that I can see both sides: the pros and the cons of reproducing. The fun of being just a married couple (in our case), enjoying the city we live in and all the activities we can now no longer do. Like showering without having a toddler twist himself around in the curtain so that water sprays everywhere and you become freezing cold. You know, the little things. Do I regret having kids? No. Not today, at least. Even with the whininess. I needed to know how it would be, and I chose, and I can't imagine going back to a Mikko-less time. I mean, I can imagine it, but it's in the past, and I've started a new life with him. And, not to harp on the same old subject, but I think the decision to have kids or not could be much simplified if we did have a network of people helping us raise our kids instead of knowing from the start that we'd be going it alone. I think that's fundamentally what makes people like Lauren Hoffman enjoy her job and yet, every payday, "sack away a little money in the tubal ligation fund." It's April again, so it's time for the Poem-a-Day Challenge from Robert Brewer at Poetic Asides. I know this seems off topic, but I really enjoyed participating last year and found that many of my poems were parenting-inspired. So you also might find that having a daily prompt gives you the structure you need to process what's going on in your life — mamahood included. It was a release for me. One day, I was able to write my son (ten months old at the time!) an apology for being kind of a lame mother. Hmmm...maybe I should reread that one. Here are the full rules. This year, if you post your daily poems in the comments on Robert Brewer's blog, you can win a completion certificate and possibly be included in an eBook. Snap! 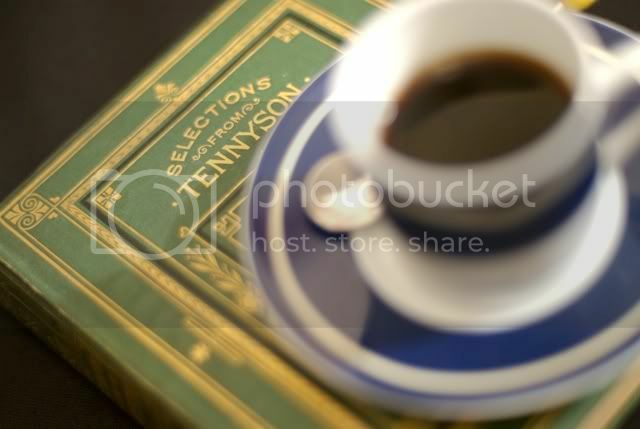 Check in at my writing blog for any updates throughout the month.